The rotational molding process is a commonly used method of manufacturing for many items we all use on a daily basis. Some good examples would include bulk tanks, canoes, kayaks, helmets, footballs, playground equipment, bins and refuse containers. 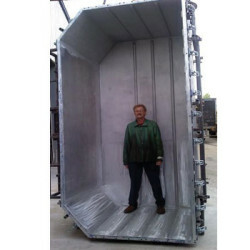 Another name for the rotational molding process is rotomolding, or rotomoulding. It is a plastic molding process that people take for granted and scarcely ever even notice. Yet it includes many products we all use and enjoy. In the past, rotomolding was very slow and had a very limited application. With the ever advancing technologies of modern industry it has become more efficient and has a broader area of application. 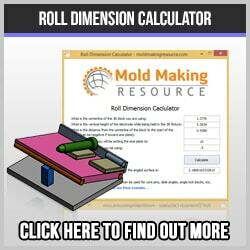 It is amazing what people come up with for solutions to problems; I mean, whoever heard of a mold that rotates? Why is it called the rotational molding process? It is called the rotational molding process because the mold rotates! It actually rotates in two axes. This is to enable the plastic to be evenly distributed over the molding surface of the mold. In the rotomolding process, a predetermined amount of plastic powder is placed in the mold and heated to it’s melting point. The mold is then rotated in two axes, which spreads the molten plastic over the face of the mold. The main plastic used is the polyethylene family of plastics; PE, HDPE, LLDPE and HDPE. A few other plastics used in rotomolding include nylon, PVC, and polypropylene. Are special molds required for this method? 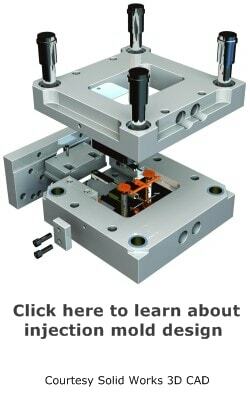 Most rotomolds are rather simple, especially compared to injection molds. When you consider that the finished product is a garbage bin, or kayak, it is understandable that the fit and finish need not be so exact. The rotational molding design faces a different array of obstacles than a typical injection mold, and need to take these into consideration. A good example is the difficulty faced in the rotational molding process in attempting to fill highly detailed areas. 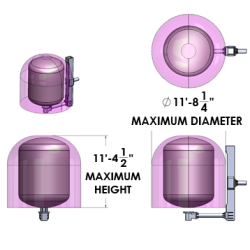 Because the rotational molding process uses high temperature and low pressure, it can be rather limiting in it’s ability to fill corners and other hard to fill areas. Is there a future in the rotational molding process? Businesses who are open to new ideas and are willing to adapt can do well. Yes, there certainly is a future for rotomolding. The type of products typically produced by the rotational molding process are the type of thing that never goes out of style. Imagine the world without the green garbage cans or a playground without a plastic slide? Companies that embrace this low tech/high tech will certainly experience job offers.